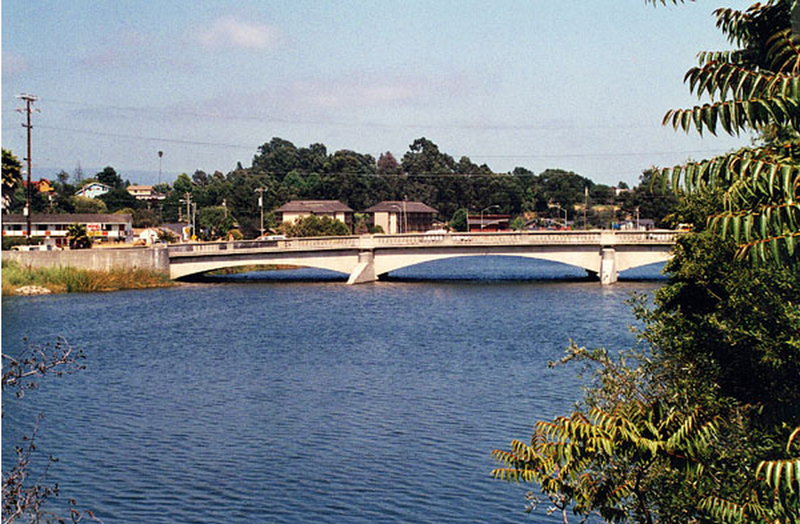 Upstream of the Southern Pacific Railroad Bridge is the Riverside Avenue Bridge (36C0099) across the San Lorenzo River. This is a cast-in-place 3-span box girder bridge that was built in 1990. 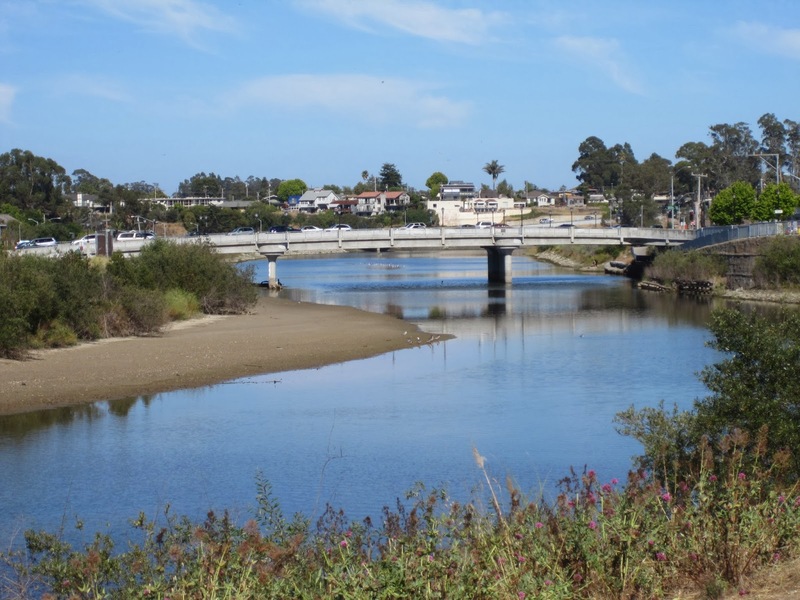 The architectural details on this bridge match many of the other road bridges across San Lorenzo Creek. The antique lampposts, barrier rail, and balconies hanging out over the bents are a recurring motif along the river. The Riverside Avenue Bridge is 282 ft long, 73 ft wide, and with a 107 ft main span. The substructure has rectangular two-column bents with 360 degree flared columns, giving it a classical appearance. There used to be a three span deck arch bridge at this location (see photo below), but the US Corp of Engineers found that it impeded water flow and caused floods and so it was replaced with the current bridge. The photo below shows the old Riverside Avenue Bridge (the photo was taken looking east from Third Street). Santa Cruz County, California Bridges: Riverside Avenue Bridge across the San Lorenzo River by Mark Yashinsky is licensed under a Creative Commons Attribution-NonCommercial-NoDerivatives 4.0 International License.